With hundreds of thousand of travelers passing through a terminal building every day, it is key that an airport can manage both day to day incidents and crises that will affect their operations. With CIM to have the tools you need to plan, manage and review incidents and crises in a structured and user-friendly environment. Companies operating in the Aviation industry spend millions each year ensuring that they are ready to respond to anything that hits them. 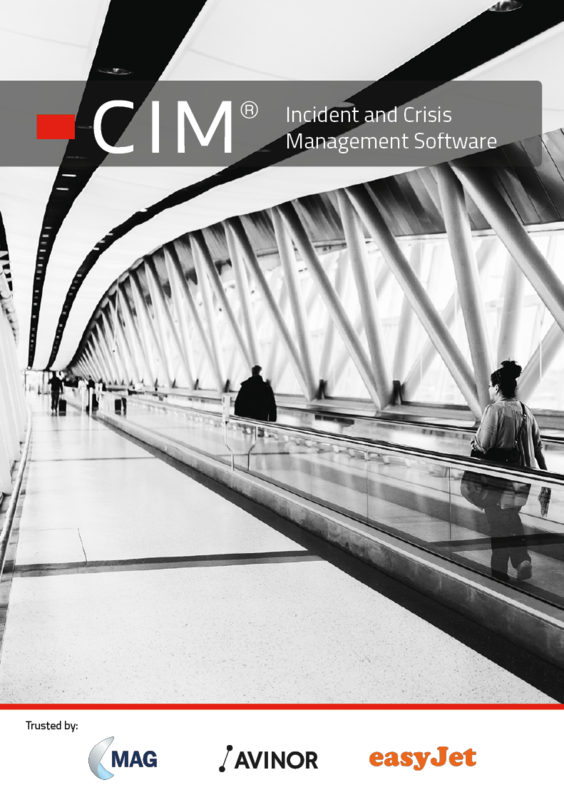 CIM is Europe’s leading software for incident and emergency management professionals and provides a comprehensive platform to plan for, manage and review incidents and emergencies in a structured and user-friendly environment!